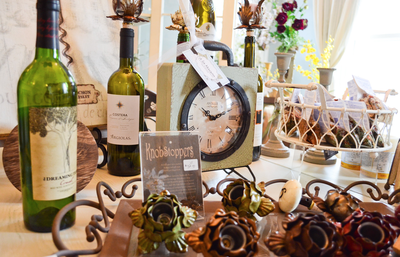 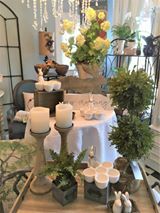 à la Maison or “at home”, is your source for distinctive home décor, accents and gifts – unique items that showcase your signature style. 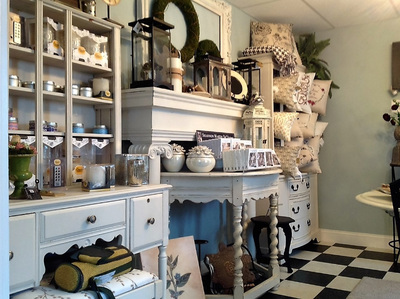 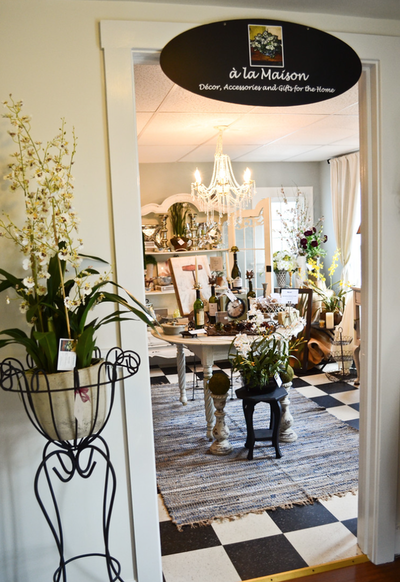 When you step into my petite boutique, you’ll find an eclectic mix of décor and accessories with touch of vintage and European inspiration. For your decorating needs, you’ll find a beautiful assortment of home décor and accessories; including wall art, accent furniture, lighting and area rugs. 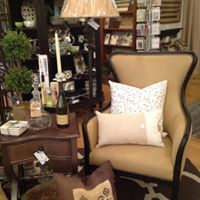 Let me help you select that perfect lamp to add sparkle or area rug for warmth. 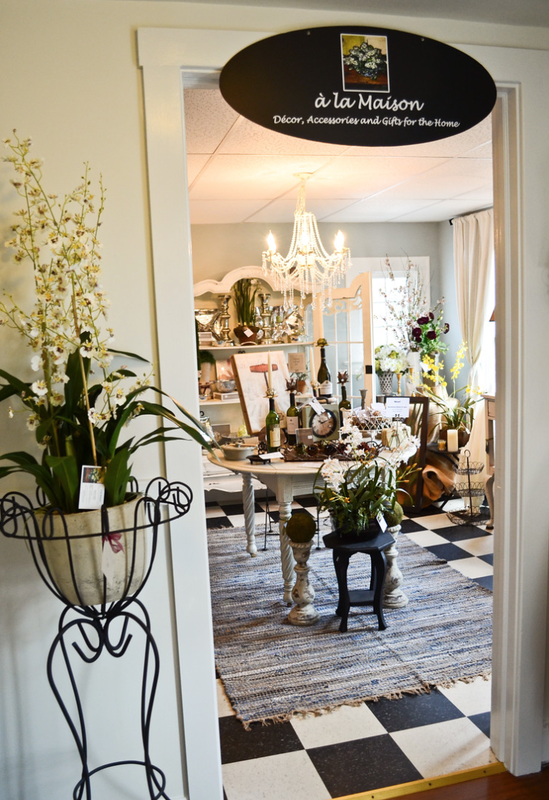 Color, decorating and lighting consultations are available by appointment. 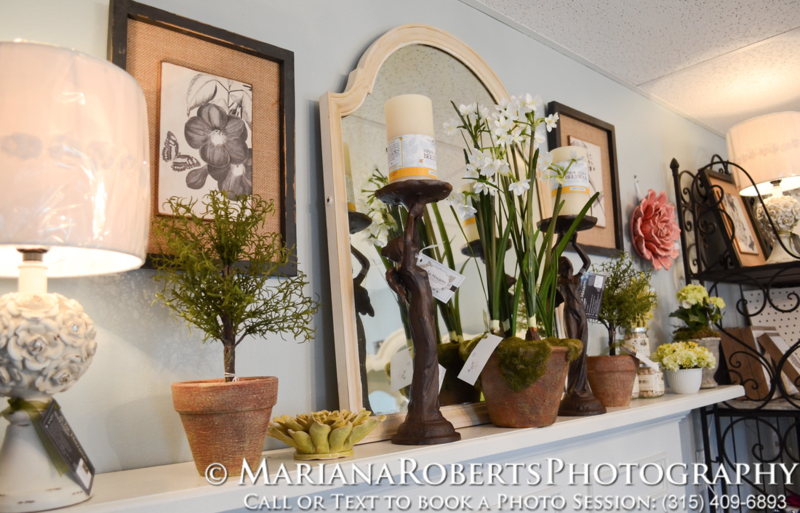 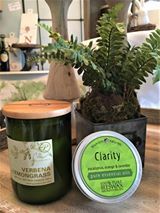 Custom florals and permanent botanicals – whether selecting that perfect centerpiece for your own home or a seasonal accent for your front door, we offer a wide selection of permanent botanicals for your home, office or gift giving needs. Let us help you select the perfect low maintenance faux plants and trees to accent your home – call today for an interior landscaping appointment. 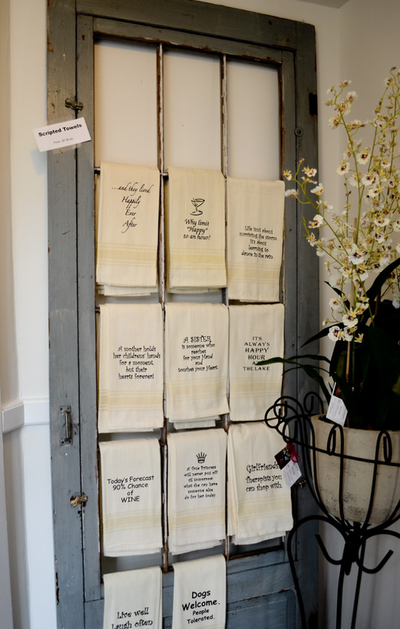 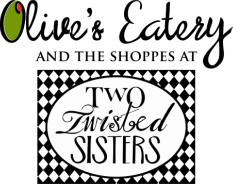 For entertaining, you’ll find a great selection of elegant paper products and stationery, including coordinating hostess napkins, coasters, paper placemats, table runners and dinnerware. 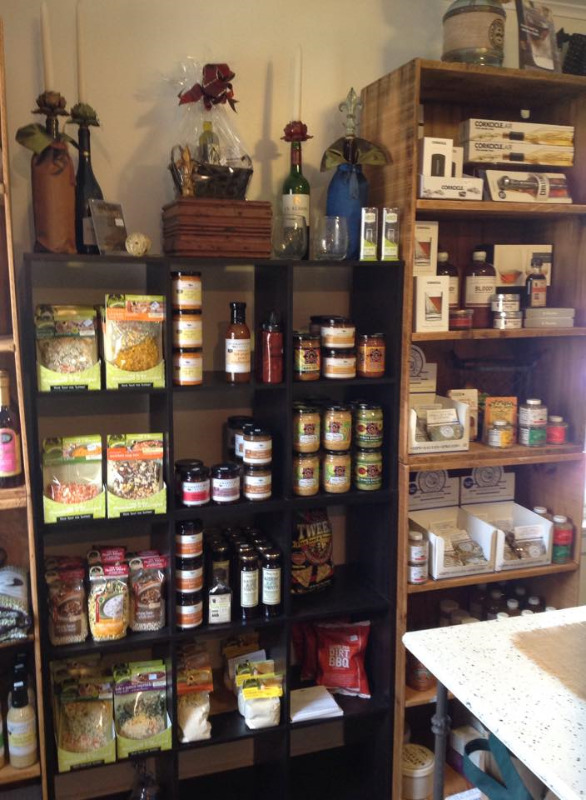 Additionally, our selection of all-natural gourmet food products will inspire your culinary creations. 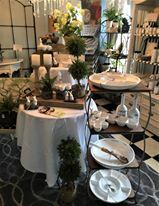 For your gift giving needs, we have a beautiful selection of gifts for the home, including all natural candles, soaps, table top accessories and Beatriz Ball handmade metalware – practical and gorgeous… a perfect wedding or shower gift idea. 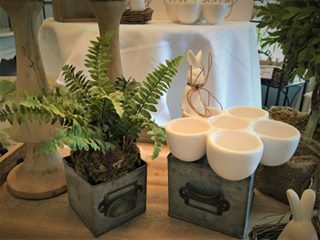 Beatriz Ball trays can be monogrammed or engraved with your logo and also make wonderful corporate gifts. 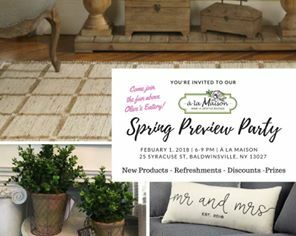 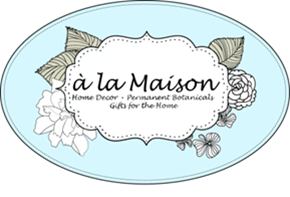 To learn more about a la Maison or schedule an appointment, please call me at 315-440-6637 or visit our website at http://www.alamaison.com.